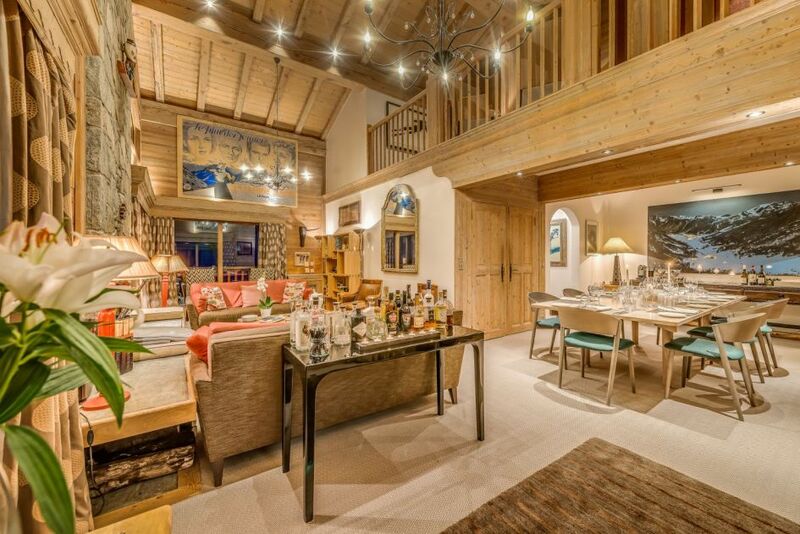 As far as luxury ski chalets go, they are certainly not all the same! Whether you like traditional or modern styles, we have something for everyone. As a converted monastery, this chalet has a very spiritual feel with lots of hidden treasures. Each bedroom is named after a different world mountain range and features a private bath, shower, steam room and separate sleeping and relaxation area. Its special attributes include a sinking marble floored swimming pool, massage room and wine cellar. 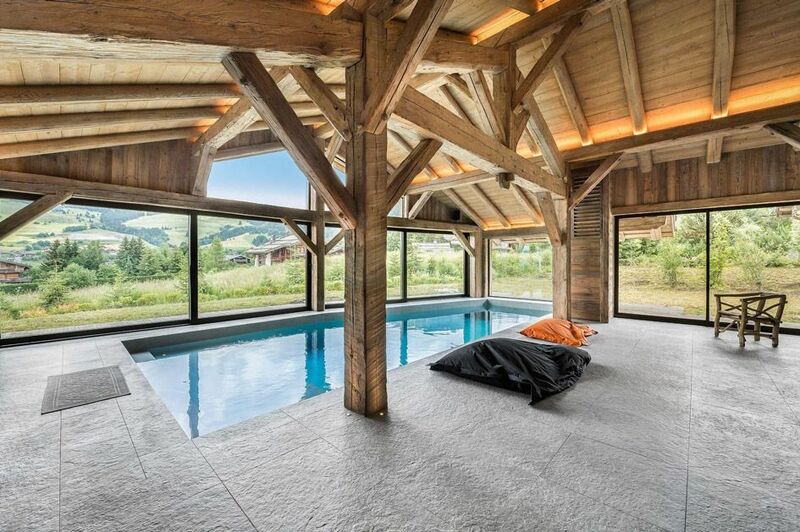 This unique chalet will definitely appeal to those who enjoy state of the art facilities with original features. A traditionally styled wooden chalet both externally and internally, Chalet L’Impasse perfectly blends the old with the new. 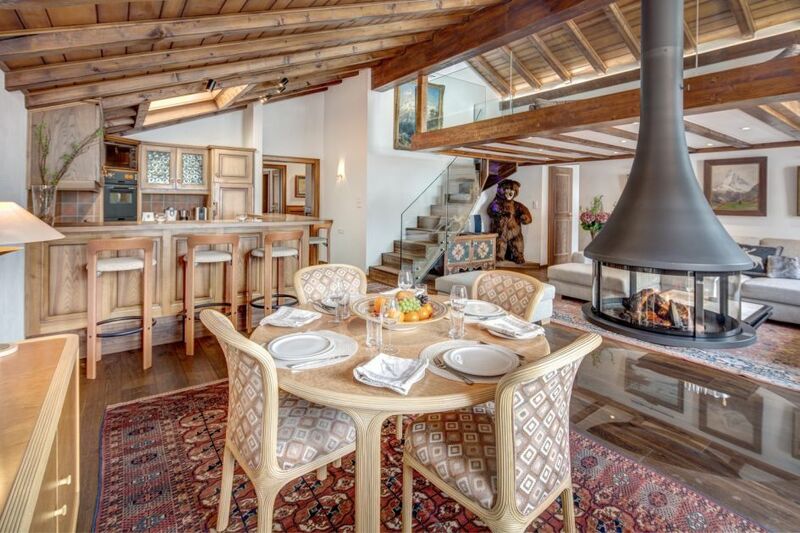 Clean, sleek, block patterned furnishings and artwork make this chalet somewhere that those who enjoy the modern touches to their alpine ski holiday, very appealing. Perhaps one of the most incredible features of all is the breathtaking views of Megeve from the wellness area! If you like striking bold black, white and grey crisp, clean interiors, then Le Petit Palais is the place for you. It has a bachelor pad feel, complete with an exceptional private spa and wellness centre, ensuring the ultimate comfort and relaxation throughout your stay. You won’t want to leave the opulent master suite that is located on its very own dedicated floor! If you’re someone who enjoys exquisite luxury, then Le Petit Palais will provide the ultimate indulgent escape. The soft, bright and warming design of this chalet will favour those who like to cosy up and sit by an open fire, whilst the kids can snuggle up watching TV in the mezzanine area. The large double height living room opens up onto the intimate dining area, with your very own hot tub just outside overlooking the mountains surrounding you. Elephant Blanc is the perfect choice for a family holiday to the Alps. This luxury penthouse really does have it all. The traditional lodge cabin touches, with wooden beams and floors, solid patterned furniture and alpine artwork, make this the ultimate alpine retreat. In what is known as a very trendy and modern resort, there is still something for those who like to feel at home! So whether you prefer a chic chalet with a minimalist design or a cosy chalet with lots of traditional features, we can find the perfect one for you! 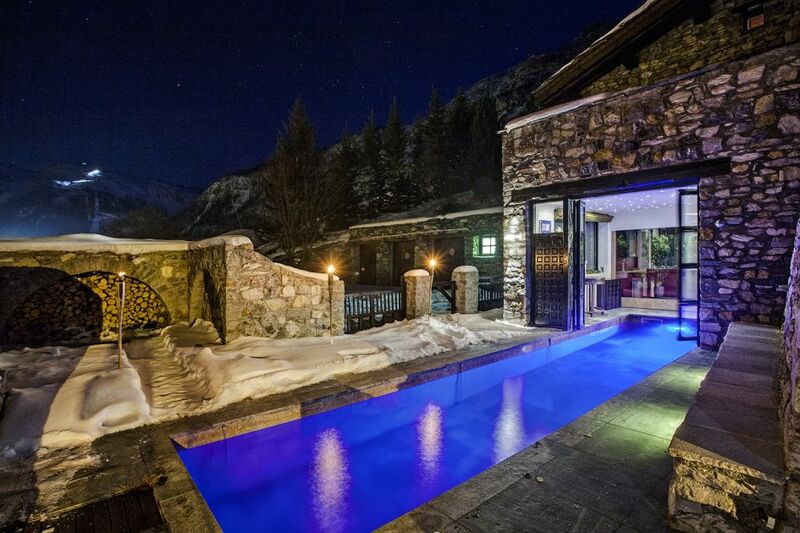 Get in touch with our Ski Specialists who will be able to find you your perfect luxury chalet for your ski holiday. Give us a call on +44 1202 203650 or you can send us an email. We look forward to hearing from you!